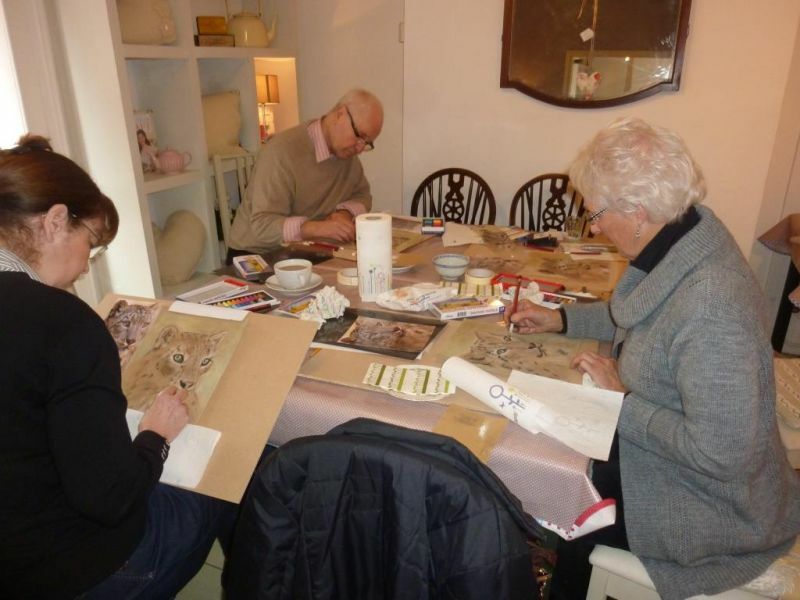 Saturday March 2nd saw the first of a new run of Pastel Workshops by Andrea Naylor held at Buttercross House, Oakham. The attendees were taken through a step by step guide on how to draw a Snow Leopard from a photographic reference. "I am so pleased I attended your workshop on Saturday, your tuition has given me the confidence to tackle something which I have avoided for such a long time" said Teresa, a lady on the workshop. Due to popular demand the workshop is planned to run again on Saturday 6th April, please email andreanaylor@live.co.uk for further information and to book a place.